VIDEO CLIPS of Dogs Trust Malta’s guest appearances on Maltese TV programmes in the new “TV Appearances” section. In continuation with an ongoing educational campaign about puppy socialisation and habituation by the breeder or early care-giver in the first 8 weeks of life, Dogs Trust Malta and the SPCA are now turning to the public to guide them on what to ask for when looking for a puppy. The Puppy Plan is a sixteen week socialisation and habituation plan that follows the puppies’ natural physical and emotional development, exposing them to audio, visual, physical and social stimuli in a comprehensive, step-by-step and formalised way…. Christina Pace talks about The Puppy Plan on “Pink Panther”, aired on ONE TV. Dogs Trust Malta and SPCA talk about breed related problems and introduce The Puppy Plan for breeders – guests on “Pink Panther”, aired on ONE TV. Christina Pace talks about The Puppy Plan and Dog Behavior on “Malja”, aired on F-Living. 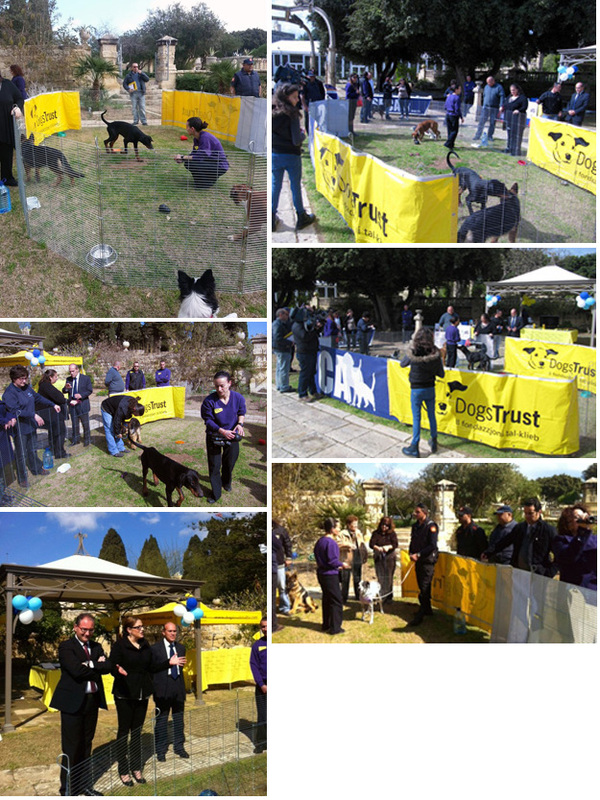 Dogs Trust Malta together with the AAA talk about pure breeds; Why a pure breed ? Choosing the right breed for the right lifestyle, Breed related problems and ailments and why even pure breed dogs are being abandoned ! – guests on “Pink Panther”, aired on ONE TV. Christina Pace talks about positive dog training techniques and the launch of the Dog Training Made Easy campaign on “Animal Diaries”, aired on NET TV. Christina Pace talks about positive dog training techniques and the launch of the Dog Training Made Easy campaign on “Pink Panther”, aired on ONE TV. Christina Pace talks about positive dog training techniques and the launch of the Dog Training Made Easy campaign on “Bla Agenda”, aired on ONE TV. Christina Pace talks about positive dog training techniques and clicker based training on “Pink Panther”, aired on ONE TV. Christina Pace talks about positive dog training techniques and clicker based training on “Bla Agenda”, aired on ONE TV. 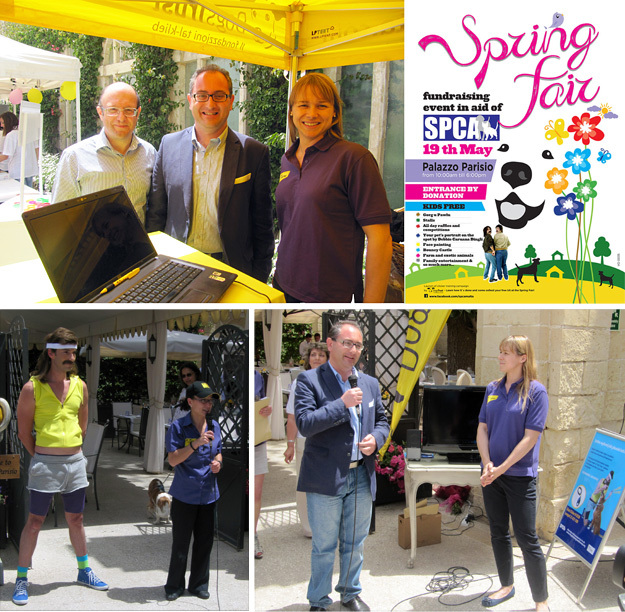 The 2013 SPCA Spring Fair, covered and promoted on “Pink Panther”, aired on ONE TV. Christina Pace together with Veterinary Victoria Bondin, explain the health benefits of dog neutering on “Pink Panther”, aired on ONE TV. Christina Pace talks about the Spring Parasite prevention and other dangers for a dog’s health on “Pink Panther”, aired on ONE TV. Education Officer, Candace Bencini, shows the TV audience a typical day for a Dogs Trust education officer lecturing in schools around the island – “Pink Panther”, aired on ONE TV.